Hong Kong RFID Ltd. is once again honorable to obtain the Hong Kong Awards for Industry which is organized by the Trade and Industry Department and Hong Kong Science and Technology Park Corporation. This year, Hong Kong RFLD Ltd. Has won the Technological Achievement Certificate of Merit. 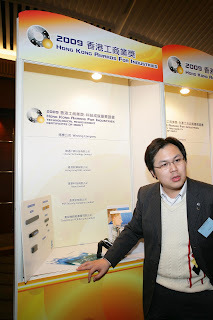 In the award presentation ceremony, the representative of the Trade & Industry Department presented the award to Hong Kong Ltd. in January of 2010. 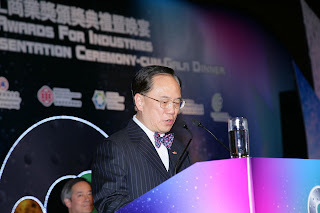 The Hong Kong Awards for Industry is one of the local chief annual Awards Scheme to recognize and encourage excellence as well as to promote successful practices and strategies in seven catagories, including Consumer Product Design, Machinery and Equipment Design, Productivity, Quality, Environmental Performance, Export Marketing and Technological Achievement. This year, Hong Kong RFID Ltd. used its big project of applying RFID system in construction industry to enter the competition. By using RFID system, the entire construction processes is greatly smoothened and maintenance work can be effectively done. The highly durable characteristics of RFID tag can resist water interference as well as harsh environmental corrosion. Besides, the invisible data-storing ability makes RFID more preferable to the traditional Bar-code system for the construction industry. Hong Kong RFID Ltd. is devoted to technological improvement, and it is an honor for her to receive the acknowledgement of Technological Achievement. Hong Kong RFID would like to thank for the support from everybody in the company for their commitment to excel in the industry. Hong Kong RFID Ltd. would strive to keep up with the company’s mission to accomplish a high level of intellectual property develop technological innovation, commercialization and the fostering of technology culture.